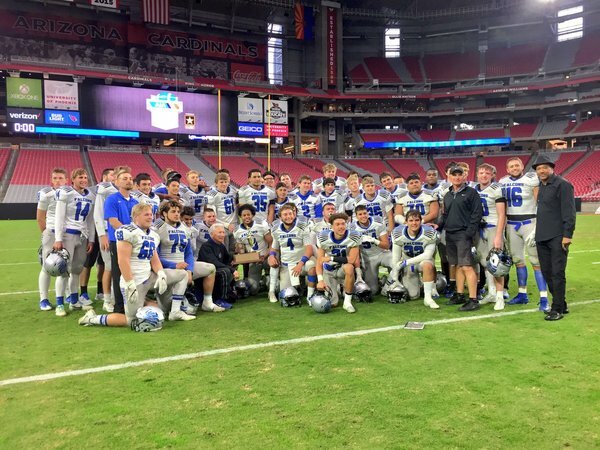 Get a recap of news from the 4A state championship football game. 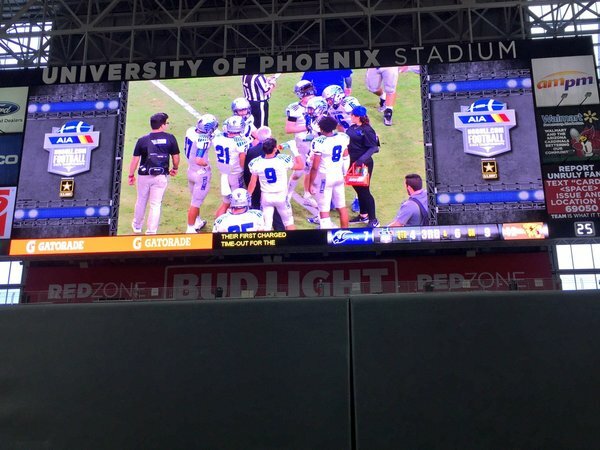 Catalina Foothills scores its first points on a Rhett Rodriguez rushing touchdown. 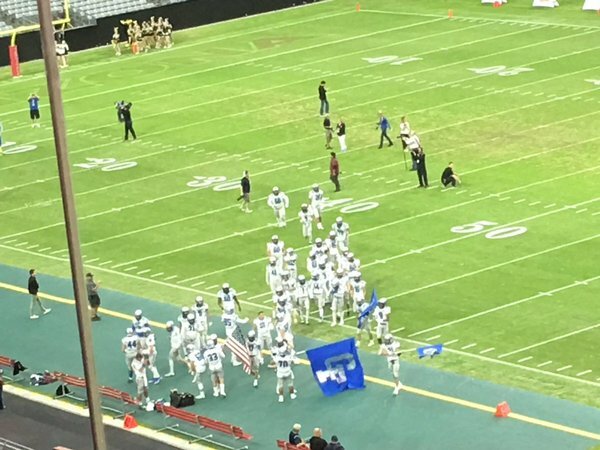 Trail 42-7 with 11:16 left. 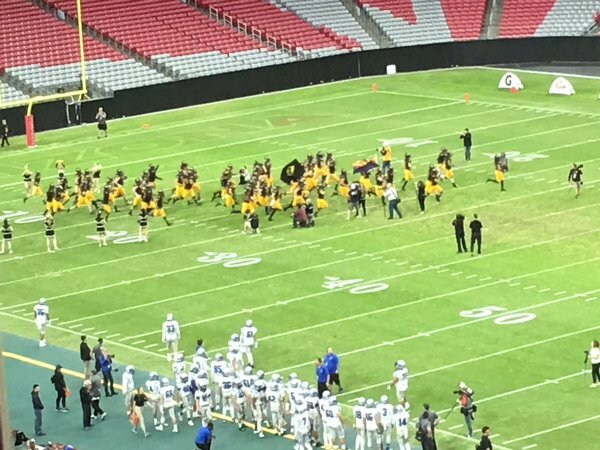 Halftime: Saguaro up 35-0 on CatFoot. 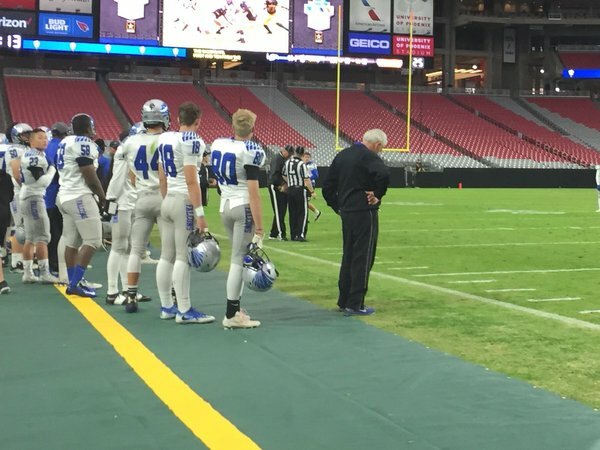 Saguaro punt return touchdown puts Catalina Foothills in a 28-0 hole. 6:57 left in the 2nd quarter. Saguaro is too big, strong, fast. First quarter over. CatFoot trails 14-0. 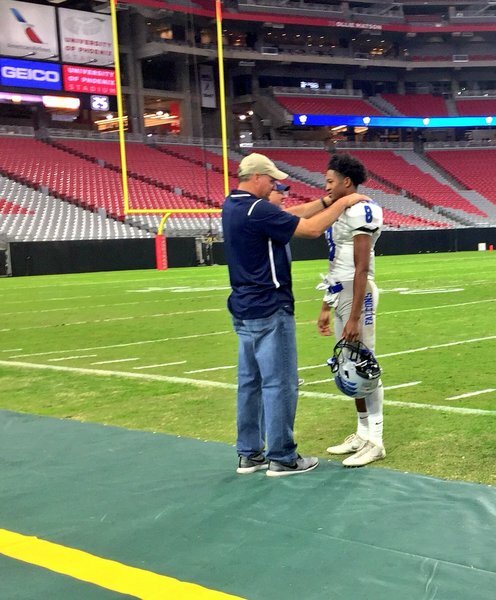 By my count, RhettRod has 50 rushing yards. 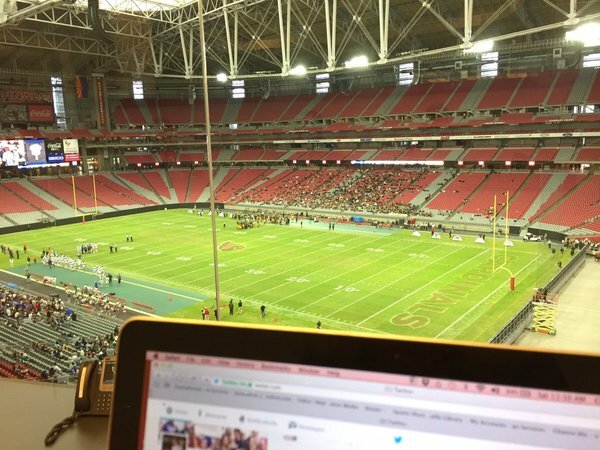 Saguaro takes an early 14-0 lead. Could get ugly. 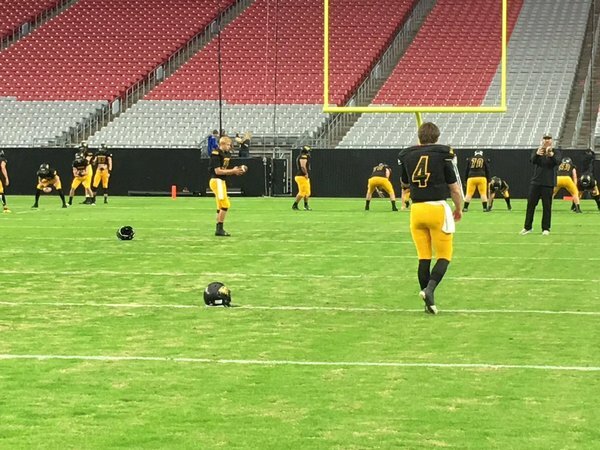 Saguaro takes an early 14-0. Could get ugly. 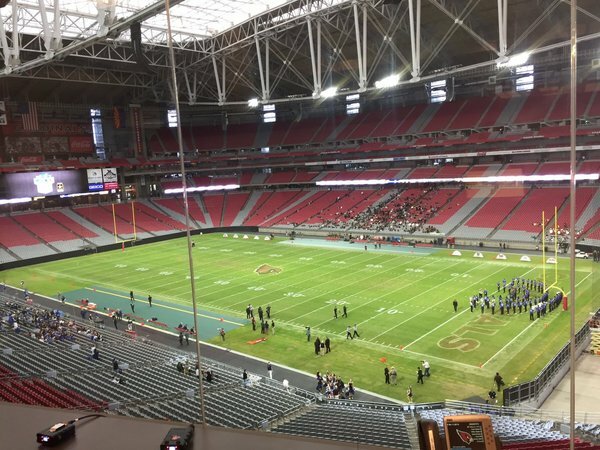 Catalina Foothills missed a 36-yard field goal. 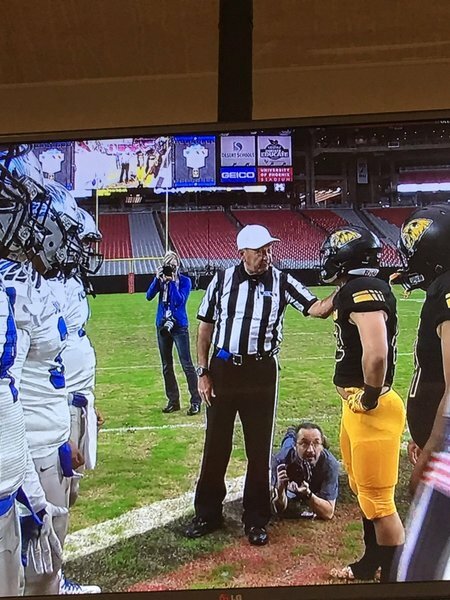 Catalina Foothills was just called for a false state, Saguaro lineman still proceeded to knock RhettRod over. No flag. 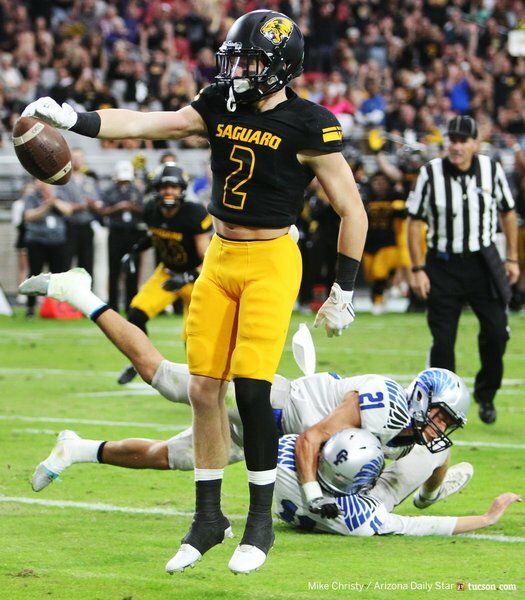 RhettRod with a 13-yard rush to put CatFoot in Saguaro territory. Trail 7-0. 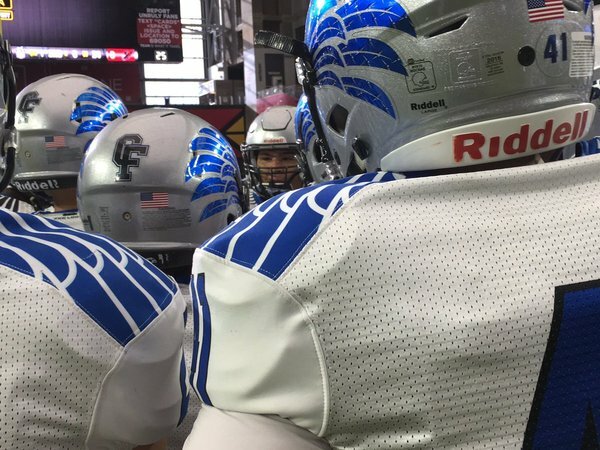 Both Michalczik and RhettRod are captains. 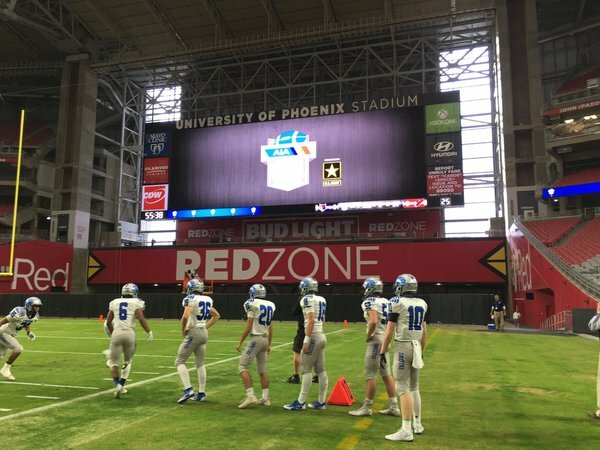 This (Catalina Foothills vs. Scottsdale Saguaro, state title) also marks the final game for Max Michalczik, son of Arizona's o-line coach. 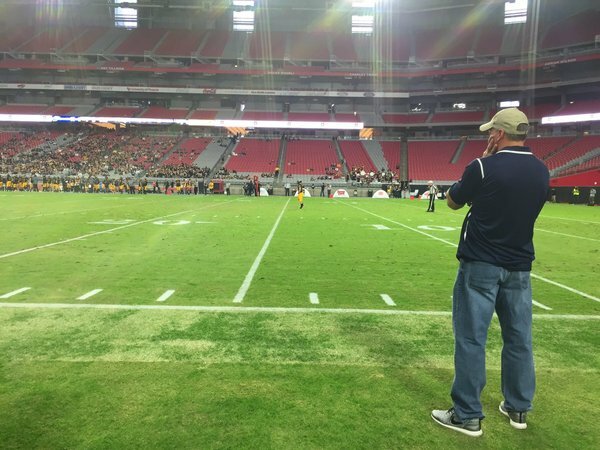 RichRod, his wife and daughter have arrived at University of Phoenix Stadium with big heads of RhettRod in hand.